New to Rainbow Six are Kaid and Nomad for Operation Wind Bastion. These two Operators are right at home at the reputable Kasbah Sekhra Mania, the featured Fortress map in Morocco. Join the very best at this elite training ground. Year Three Season Four will also introduce Pro Team BDUs and Headgears, a new navigational display in the shop, and a new fullscreen view for the weapons. You will find more details on these updates in the full Patch Notes below, as well as many gameplay fixes implemented this Season. Joining Rainbow Six are two Operators associated with the GIGR (Groupe d'Intervention de La Gendarmerie Royale). They are Kaid, the stoic Commander, and Nomad, the world traveler. When the Season launches, Season Pass owners can unlock these new Operators immediately and gain exclusive access for seven days. 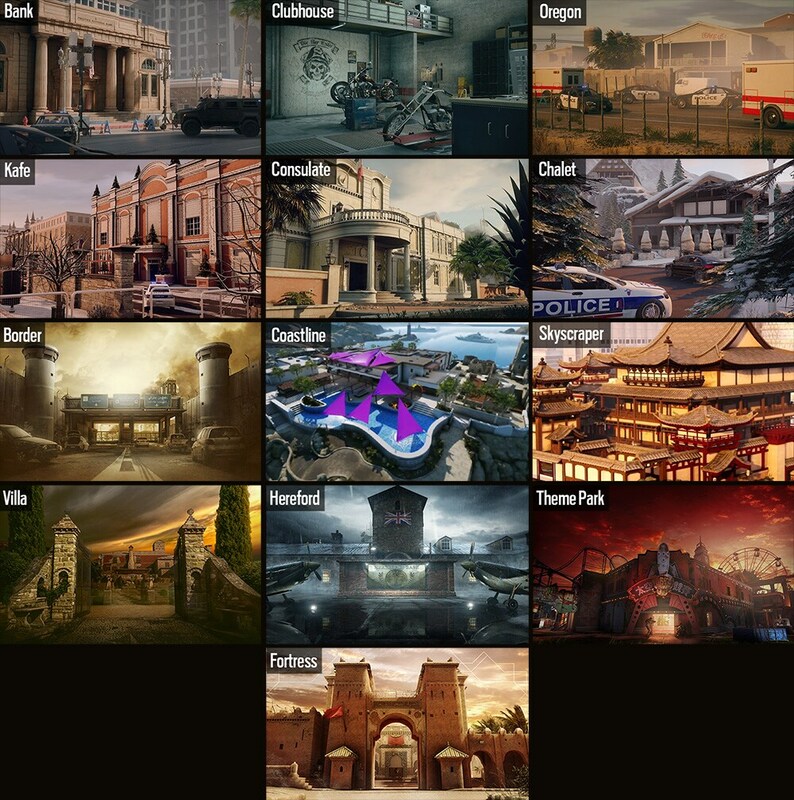 All players can unlock these Operators with Renown or R6 Credits once those seven days have passed. Upon joining GIGR, Nomad served multiple tours with the Mountain Infantry Battalion, becoming her unit’s expert on environmental operations. Between tours, she undertakes solo expeditions where she sketches out her trips in her notebook. She’s visited more countries than any other Operator in Rainbow Six. She also wants to become the first woman to cross Antarctica, alone on foot. She possesses unmatched resilience to survive the elements and her endurance is famous within military circles. Her top conditioning and her repertoire of unique skills were more than enough to warrant an invitation. Sanaa “Nomad” El Maktoub is both an introspective dreamer and a practical survivalist, and she’s joining Rainbow Six. Nomad’s custom rifle attachment allows her to launch Airjab repulsion grenades. They can explode midair when in close proximity to an enemy or they can stick to a surface and detonate later, again when an enemy is within range. Nomad enters the field with four Airjab grenades. These pushback devices are non-lethal but they disorient those affected. As the Commander at the renowned Kasbah Sekhra Mania, military personnel look up to him. His teaching methods and leadership style have proven to be super effective. The Fortress gained accolades and its reputation continues to rise, making Kaid arguably the most successful resident Commander at the famous Kasbah. Often labelled a “traditionalist,” he firmly believes that over-reliance on technology can be an Operator’s downfall. He’s curious to see how many of Rainbow's specialists can adapt on the field without high tech assistance. He’s ready to teach a thing or two, but this will be the first time he’s among equals. Above all, Kaid is the embodiment of dedication and duty. All eyes are on Jalal “Kaid” El Fassi to guide the future of Moroccan Special Forces. Kaid’s "Rtila" Electroclaw can electrify reinforced walls and hatches, barbed wire, and deployable shields, making it tougher for the enemy to breach the Kasbah and any facility he’s tasked with protecting. He enters the field with three of these throwable gadgets. Once they’ve attached themselves to a surface, they each electrify metallic objects within a 0.75 meter radius. Welcome to Kaid’s Fortress. This large daytime map features a mudbrick kasbah and iconic architecture unique to the southern region of Morocco. Based on real and existing structures, the many exterior stairs provide unprecedented access to the roof and drop-down points via the towers. Housed within the fortified and bare walls of the Kasbah are two floors of living and training space, each with its distinct rooms and halls. The multiple stairs and a ladder allow for rotations between floors. Players will find both renovated and non-renovated areas on this map. The Art Team aimed to make the two sections distinguishable from each other, allowing players to better orient themselves in the Kasbah at any given time. Make sure to play on our test server and submit your feedback on R6 Fix. 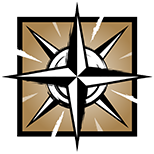 Operation Wind Bastion features rich materials and artistic detailing with North African influences. The seasonal weapon skins are the humble Terra Cotta, the intricate Painted Floral, and the dignified Baroque Exalted. These will elevate your loadouts to new heights. Once unlocked, the seasonal weapon skins can be applied to all available weapons until the end of the Season. You can now support your favourite pro league teams by representing their colours. During the previous Season, we released Pro Team weapon skins and charms. With Operation Wind Bastion, you can now acquire a matching BDU and Headgear to deck out a specific Operator from head to toe to cheer on your favourite Team. We’ve partnered with eleven pro teams to introduce revenue sharing as a model to fund the Rainbow Six Invitational prize pool, and to encourage the stability and growth of the pro scene. 30% of the revenue from Pro Team BDU and Headgear sales will go to the organizations that are a part of the program. The Rainbow Six shop is getting a facelift. We’re improving the user experience and we’re including a new fullscreen view for weapons. A new light theme has also been added to the fullscreen view and players can browse left and right within a category. 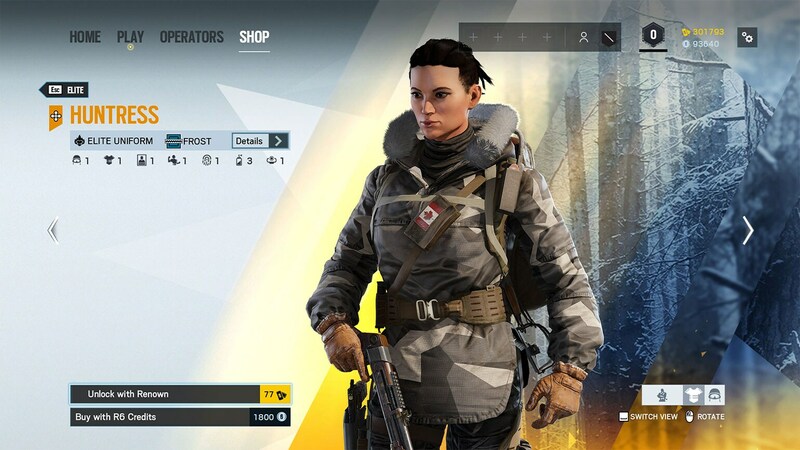 Starting with Operation Wind Bastion, shop items are now accessible from the News tab. 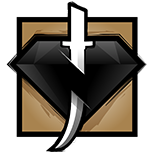 Players can also opt to equip an item right away. If a particular, item or skin is available for multiple weapons/operators, players can select Equip All at the bottom left of the screen. We want to make Mute slightly more attractive as a choice, and make him a bit stronger overall. Giving him additional loadout versatility should meet both of those needs. With the last few patches, we wanted to make Clash less frustrating to play against. She is now very weak and underpicked, and we anticipate that Nomad will be a hard counter against her. Essentially, we are trying to make her stronger without making her too frustrating to play against. Smoke has incredible utility if used properly, but still a bit weak. Mute will also benefit from this change. Lesion is currently in a pretty good place, but is just a bit too strong. We are reducing his damage to bring him more in-line with where we would like to see him. Zofia currently has too many projectiles at her disposal, and is able to offer too much utility when compared to her teammates. We have changed the throw curves for throwable gadgets to be easier and more comfortable to use. All throwables now use this new curve except for the Nitro Cell. The Nitro cell is not using this new curve, as it will be classified in a different category defined as “heavy throw”. The throwables classified under heavy throws will not reach as far as the “regular” throw. Beginning with Operation Wind Bastion, we will be implementing a new Area of Effect feature for Kaid and Nomad. This is designed to help new players better understand the area of effect when deploying a gadget. This will only be visible for the Operator placing the gadget. We also recognize that experienced players may not be interested in the visual feedback presented by this change, so players will have the option to disable it in the settings menu. As of right now, this feature will only be available for Kaid and Nomad, and do not currently have plans to add this feature to past Operator’s gadgets. We currently have two different SSAO techniques to render Ambient Occlusion: SSBC and HBAO+. Lately, our 3D team has been working on replacing the HBAO+ with a improved SSBC+ technique. We have done this because we want to have control on what is rendered on screen. Overall, this will give us greater control over the implementation of graphics options across all platforms, and enables us to increase the overall quality of image rendering across the board. There is no noticeable difference in performance between SSBC+ and HBAO+. Fixed - Users are experiencing a large amount of crashes on Xbox One & PS4 since Y3S3. Fixed - Claymores can be picked up after detonating at the right moment. Fixed - Reinforcing a hatch with a defuser planted on it will cause the defuser to fall. Fixed - Russian rainbow ACOG sight (they stopped talking to Bandit). Fixed - User teleports when placing a gadget after interacting with the hostage. Fixed - If the player shoots the reinforced wall, the muzzle flash and the bullet trail will pass through. Fixed - Melee attack animation is broken during replays. Fixed - Players can exploit macros to increase their rate of fire on certain weapons. Fixed - Electricity VFX can be seen through the floor. Fixed - Prisma deployment issues can cause Alibi’s Prisma to get stuck in surfaces. Fixed - Alibi's hologram doesn't detect enemies if they're in Tachanka's LMG turret. Fixed - Attackers don't receive damage when hitting an electrified surface with melee attacks. Fixed - Some throwable gadgets can move through Electified Barbed Wire without receiving damage. Fixed - Blitz shield disappears instantly after the shield is switched while in ADS. Fixed - When Capitao’s Lethal Bolt is shot directly on a wall, the fire FX is not blocked and DMG is still dealt on the other side of the wall. Fixed - Castle can melee kill an opponent through an Armored Panel that was deployed over barbed wire. Fixed - Players aren’t awarded a score when destroying Castle’s Armor Panels with non-explosive methods. Fixed - Clash loses partial functionality after pressing the primary gadget button during a guard break. Fixed - If a player is hit by Doc’s stim pistol shot while under the effect of Echo’s sonic burst, the heal VFX will cut the sonic burst effect. Fixed - Yokai's Sonic Burst Distortion Effect causes the black background to appear on the side of the screen. Fixed - Consecutively using sonic bursts on the same target with Yokai will not refresh the Deafen effect. Fixed - Yokai’s Sonic burst effect animation is not present for Echo in third person. Fixed - Frost Traps can be partially hidden by carpets on certain maps. Fixed - Frost Welcome Mat’s cannot be deployed in a certain spots in 2F South Hallway of Coastline. Fixed - Frost Welcome Mats are difficult to deploy in 2F rail platform area of Theme Park. Fixed - Frost Welcome Mat clips with the rug from Coastline 2F Hallway if the rug is damaged. Fixed - No sound when detonating Hibana’s X-Kairos charges. Fixed - IQ's RED Scanner moves too much when shooting her pistol (now less floppy). Fixed - Electronics are sometimes not highlighted when on the edge of IQ’s detector. Fixed - Unable to pick up Jäger's ADS if deployed under a Control Terminal in 2F Control Room of Theme Park. Fixed - Maestro's Evil Eye cannot scan or ping through smoke grenades/Capitao’s Smoke Bolt. Fixed - The Loadout description for the Alda 5.56 has not been updated to reflect the weapon's patch changes (now updated). Fixed - Maverick is able to break the frames on windows with his gadget, leaving the glass floating in the air. Fixed - When placing a Candela on a barricade, Ying's hand is visible from the other side, revealing her position. Fixed - Holding Ying’s Candela gadget applies the blue filter on all the headgears that have the same glass material. Fixed - Players can vault into red toolboxes on any map. Fixed - Users can peek inside EXT Sewer by of Bank. Fixed - Players can hide under a desk in 1F Tellers' Office and make it difficult to hit them with bullets. Fixed - Operator can get stuck between the printer and the table at 2FOffice on Border. Fixed - Player can vault inside ceiling of EXT pedestrian customs on Border. Fixed - Defender can hide bulletproof cameras inside the walls on Border. Fixed - Attacker can hide in trees next to 2F office balcony on Chalet. Fixed - The vault prompt to the stage lose functionality after reinforcing the wall between 1F Stage and 1F Stock Room of ClubHouse. Fixed - Operators with shields clip through the handrails of ClubHouse. Fixed - Ying’s Candela and Fuze’s cluster charge don’t penetrate the entire floor at 2F Theater room on Coastline, causing the charges to detonate inside the floor. Fixed - The door barricade at EXT Front Door breaks certain vault angle between the stone pillars at EXT Front Alley on Consulate. Fixed - Rubberbanding effects after vaulting over yellow steps in Consulate Garage. Fixed - Attacker can hide a drone inside the walls of 1F visa office on Consulate. Fixed - Drone clips through the wall on Consulate, allowing Drone to see inside. Fixed - Textures between reinforceable and indestructible walls in Hereford Base allow bullets to pass through. Fixed - Defenders are able to vault on the window frame of Kafe 2F Fireplace Hall. Fixed - Valkyrie can place a cam on the ceiling of 1F Bakery on Kafe. Fixed - Occasionally operators will remain stuck between two metal barrels at Oregon EXT Junkyard. Fixed - Drones run into invisible collision under the bed in Oregon of 2F Dorm Main Hall. Fixed - Defenders are unable to disable the defuser if it is planted next to the mattress in 2F Watch Tower in Oregon. Fixed - Operators clip through the rail above the stairs on 2F Hallway on Skyscraper. Fixed - Attackers can plant the defuser on top of an arcade machine at 1F drug lab on Themepark. Fixed - player can destroy the ceiling under the indestructible floor at 1F dining room. Fixed - User encounters an invisible collision at 3F Lounge in Yacht. Fixed - In some cases, players will receive a "Game Full" error when matchmaking. Fixed - Voice chat icon remains active after a team member stops speaking. Fixed - User that Join-in-Progress in Casual cannot ID operators. Fixed - Hovering over a gamemode after clicking the other one will lead the user to the wrong mode matchmaking. Fixed - Players are sometimes able to reconnect to the Ranked match after receiving a teamkill penalty. Fixed - The "Find Another Match" button flashes when players leave the match. Fixed - [XB1] User is able to hear teammates in the game even if he is in a private Xbox Party Chat.